Made to order, lead time 60-90 days. 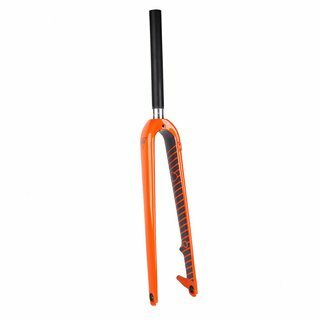 If you’re a big passionate in powered up cyclocross, this carbon-fiber fork provides lightweight characteristic with uncompromising comfort and speed. 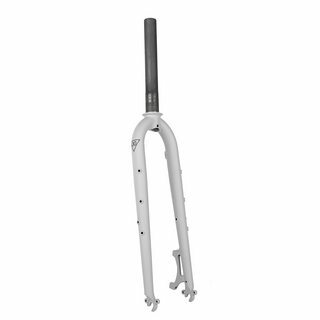 Explorer fork - Designed for full-loaded journey, maximizes carribility and able to withstand harsh uses. It has 3 bottle/cage bosses on both sides, and additional 3 eyelets for rack/fender. There's also 15mm thru-axle version for Explorer forks, which enables support of durable MTB wheelsets. It’s a must have enhancement for multi-day adventures. The idea inherited from 80’s classic Yeti mountain bike design, which has great rigidity and able to stand harsh uses. Clears 700x45 or 27.5x2.1" tires. 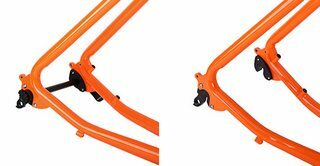 The wishbone seat stay brings flexibility, not only for good riding quality, but also created clearance that enables quick swap of different size wheels. We also added the eyelets for rear rack and fender requires for touring. They’ll deliver totally different riding experiences. 700c wheels allow you to ride fast and efficient, which delivers more race-oriented feeling. But narrower tire results in decreased stability on unpaved roads. 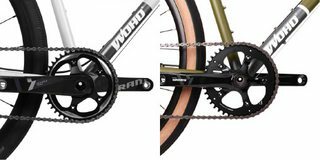 We recommended 700c setting for mid distance(>100km) pavement or gravel rides. 650b x 47 plus tires are more agile than 700c. It's wide and fat enough to provide confident control in longer gravel riding, but has lower speed than 700c wheels. You’re allowed to swap these two type of tire and wheel on Wildcard frame for your different trip plans. All Wildcard frame set comes with extra third bottle cage carrying ability. Leave more space inside front triangle for more luggage! Wildcard supports two different dropout system- QR (Quick-release) and TA (Thru axle). The hanger was also replaceable in case of any unpredictable happens. Fits tire up to 700x45 or 27.5x2.1"
WOHO Bike team are from various cyclist; like MTB, roadie and touring enthusiast. We decided to build an unique bicycle that break rules, unlock the routes we ride. With Wildcard, we are able to ride them fast on pavement to work, or grinding gravels in the weekend. 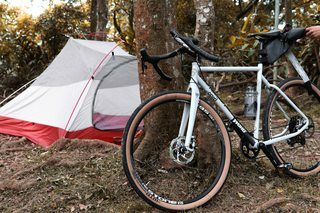 And it’s our best pal when we go for bikepacking on vacations. That’s the root of Wildcard -the completely versatile fun bike. 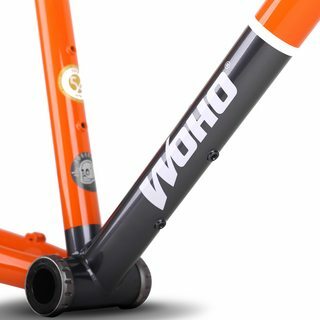 WOHO based in the world’s best cycling manufacture country - Taiwan. 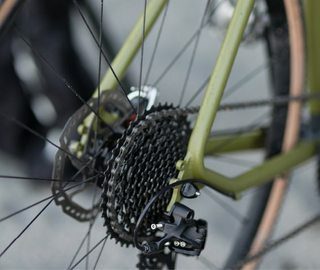 WOHO is continuously challenging the traditional design of cycling gear. With the help of a local manufacturing facility - known for their precision - we’re able to turn our thoughtfully designed prototype into a well-built, real-life product. The Wildcard seeks for balance between riding efficiency, durability and flexibility. We developed our own original design with experienced supplier chain, not following tedious factory designs. 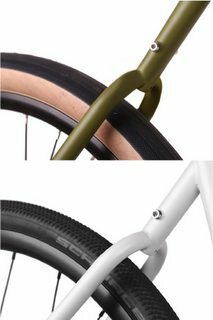 Wildcard inherited numbers of steel frame durability design, from 80s mountain bike to modern gravel grinder, finally we adjust every little geometry digits to made them suitable for long journeys. Phone number is necessary for DHL express, please provide your phone number in the note column when you order. Usually takes 60 - 90 days from order to deliver.